Firaxis was formed in 1996 by former employees of Microprose, Sid Meier, Brian Reynolds and Jeff Briggs. Microprose, and in turn, Firaxis are probably best known for their "Sid Meier" games; in fact, a majority of the games released by Firaxis have "Sid Meier" somewhere in the name although 2012's XCOM: Enemy Unknown was an exception. What was great about Firaxis picking up development of the game was that the original X-COM games were published by the predecessor to Firaxis, Microprose. So, despite Mythos Games (the original developer of the X-COM games) not being there to do the reboot, having Firaxis do it is the next best thing, and I actually quite enjoyed XCOM: Enemy Unknown. The 2012 reboot to UFO: Enemy Unknown streamlined the entire experience which upset many fans of the original but in doing so made turn-based tactics more accessible for the modern audience. In XCOM: Enemy Unknown your job is to lead humanity's defence against alien invasion, a paramilitary organisation funded by the nations of the world known as XCOM. As you'd expect, if you win the game you defeat the aliens and the Earth is saved. However, XCOM 2 is based off the premise that this did not happen; what if XCOM failed and the Earth was actually taken over by the aliens? Gameplay-wise, XCOM 2 is very similar to XCOM: Enemy Unknown except you now have to make contact with resistance cells using your mobile base (known as the "Avenger") in order to increase your supplies instead of protect countries in order to ensure continued funding. Also, to emphasise the guerrilla warfare nature of what remains of XCOM, you'll often start each mission concealed meaning you can setup ambushes. I've been a fan of the XCOM series of games since the beginning, ever since the 1994 release of UFO: Enemy Unknown. I was never any good at the games but turn-based tactics is one of my favourite genres. This is why I acquired the 2012 release of XCOM: Enemy Unknown and why I was keen on playing its sequel. The sequel even featured on the 10 Most Anticipated PC Games of 2016 list, that's how much I (and indeed, Choicest Games) wanted it. Yes, we have a pretty warped sense of humour which often involves poking fun at old PC game cinematics. In all the official XCOM games prior to XCOM 2 (including the ones in the 1990s) despite always defending the Earth (or at least what remains of Earth) from alien invasions, you're always part of a well-equipped, well-funded force supported by world governments (or corporations in the case of X-COM: Apocalypse); in XCOM 2, you're pretty much on your own as the world is controlled by the aliens. The remnants of XCOM that you control will have to employ guerrilla tactics in order to win and rely on the support of resistance cells and the black market to achieve your goals. Next to the bar in the Avenger is the Memorial Wall where you can view portraits, service records and customisable epitaphs for all soldiers that have died in service of XCOM. It's a neat touch considering this feature was absent in XCOM: Enemy Unknown (although at one point they did have some Facebook app where you could manually do so). Yes, I was quite surprised that Firaxis went to considerable effort into making a cutscene for anyone that actually loses the campaign. While it's obviously not ideal to lose the game, at least it's not a very basic "Game Over" screen with the option for you to restore your game. 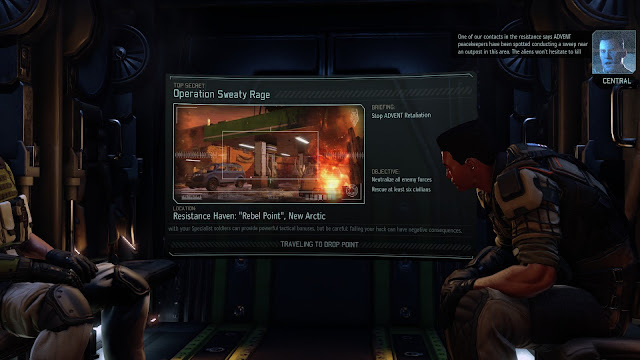 Each time you play a mission it gets an operation name randomly assigned to it, sometimes with hilarious results: my personal favourite is "Operation Sweaty Rage". Apparently, there's also a 1 in 500 chance you'll have "chicken" in the name too. XCOM 2 has more customisation options than its predecessor and they're definitely welcome. Not only do you have more of the existing customisation options such as hair styles and hair colour, but you also have new customisation options such as props (e.g. hats, tattoos, glasses, etc. ), weapon skins and armour skins. What I'm most happy about though was that they addressed a complaint I had about XCOM: Enemy Unknown which was that all XCOM operatives spoke with an American English accent: not anymore! Now your XCOM operatives can speak Spanish, French, German, UK English or even STRAYAN English. You bloody ripper! Initially I thought nothing could beat the soundtrack composed by John Broomhall for the original UFO: Enemy Unknown: I was proven wrong however when Michael McCann's soundtrack grew on me after playing XCOM: Enemy Unknown for a sufficient amount of time. I really got accustomed to Michael McCann's soundtrack and initially, I wasn't enamoured with Timothy Wynn's treatment for XCOM 2 but history repeated itself and I came to realise it's just as good as any of the XCOM soundtracks that preceded it. I especially like how Wynn has incorporated themes and leitmotifs in his music. Also, is it just me or does the start of the squad setup music sound a bit like the "Imperial March" from "Star Wars"? The game has 80 Steam Achievements to earn (although that might include achievements for the game's expansion, War of the Chosen) and 9 Steam Trading cards to collect. You sometimes get the occasional graphical glitch and usually when the mission is loading I experience framerate drops – fortunately, it doesn't happen too often during the mission proper, which is a relief. I found XCOM 2 to be more difficult than XCOM: Enemy Unknown; in XCOM: Enemy Unknown I was able to play without any issues on the default Normal Difficulty level but when I tried the same in XCOM 2, I eventually lost the campaign. For my second playthrough, I had to drop the difficulty down to "Rookie" (which reduces enemy patrol sizes by 1 and XCOM operatives start with 1 extra health) and the game was still challenging at times. 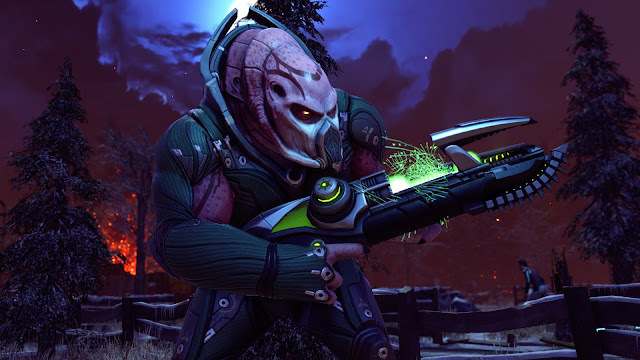 In XCOM 2, right from the start you're on the back foot: not only are you severely outnumbered but the aliens get nifty abilities from the start, such as the fact that Sectoids, aliens encountered at the beginning of the game, already have psionic powers that they can use to mind control your troops. Sure, you now get a Concealment ability where if you stay hidden you can then ambush enemies (essentially giving you a free first attack) but it's not available on all missions and I think I've only been able to pull it off one time where I managed to kill all enemies in a patrol since RNGesus often stuffs things up, meaning what starts off as an ambush in your favour quickly turns into a massacre of XCOM operatives. Also, this game seems to be counter-intuitive when compared to not only previous XCOM games but strategy games in general: in my first playthrough I invested a lot of effort into research since having a team equipped with the latest weaponry is surely the key to victory, right? Not so in XCOM 2 as not only did this mean I diverted resources away from having the ability to field a larger squad but I also think researching new technology triggers the introduction of new enemies; this ultimately meant my squads didn't have enough experience under their belt to face the new enemies and new ones were being introduced in almost every mission. Everybody knows that thanks to the weird way random number generators (RNG) work, you might be standing right in front of the alien with a 99% chance of hitting it and you most assuredly will miss, since this is an XCOM game. However, RNG can work in your favour too and I only discovered this when several of my Rangers (who tend to be Close Quarters Combat operatives) seemed to not get shot in the open while my operatives hiding behind cover, were. You see, on paper I thought the Rangers were useless in my first playthrough, I mean who would seriously want to charge against the aliens and slice them with a machete? It'd be suicide; if you didn't get killed by your target you were sure to get killed by the other aliens nearby. It turns out though, after using Rangers quite a bit more in my second playthrough, that they're invaluable to your team, despite it being so counter-intuitive. So, while being hard done by RNG is nothing new to the XCOM series, it seems that in XCOM 2 I honestly don't know how to field an effective squad any more because there are too many random variables at play. To make the game even more difficult, Firaxis decided that they would place a time limit on almost everything you do in the game, whether you're viewing the world on the Geosphere or fighting aliens in turn-based tactics mode. Let's first start with the Geosphere. Shortly after the game starts, you'll receive word about a project the aliens are working on called "the Avatar Project". A progress bar is then placed at the top of the screen and whenever the aliens make progress after a certain number of weeks, the bar approaches closer to 100%. If the aliens ever reach 100% it's game over for you and the only way to reverse their progress is to complete blacksite missions which are more challenging than your run-of-the-mill missions. It's a good way to lose your operatives and the only primary purpose these blacksite missions serve is to buy you more time. Also, most missions will at some point have a time limit where you have to reach an objective or destroy an objective by a certain number of turns. In my first playthrough, I tried to reach these objectives no matter the cost, even if that meant I had to lose some operatives on the way; it turns out, as usual, this is not the best way of playing XCOM as losing experienced soldiers means you're worse off in the long run (having to rely on rookies just doesn't work). The reward for completing these missions was never worth the sacrifices made and despite these time limits pressuring you to complete the missions by a certain time, I actually would've been better off ignoring them and trying to ensure my operatives all survived. There's a huge ramp-up in difficulty for the final mission. I won't spoil it too much but you're going to go up against three times as many enemies as you normally would in a mission and you also have powerful boss creatures to contend with too. After spending two hours on the final mission, I managed to win the game by performing the very risky move of taking out the primary objectives (despite running into overwatch fire) and hoping that would be enough to end the game; thankfully, it was. The game has occasional bugs to do with line of sight (e.g. sometimes you can't see the enemy but somehow, they can see you); one time I even managed to have one of my XCOM operatives taken away by a Viper through a wall and the wall was left intact too, which meant the other squad members were helpless to do anything as the actual entrances were too far away for them to incapacitate the Viper. So frustrating! XCOM 2 brings with it many welcome new features such as better customisation options, the ability to conduct guerrilla warfare against an alien threat and even a Memorial Wall. 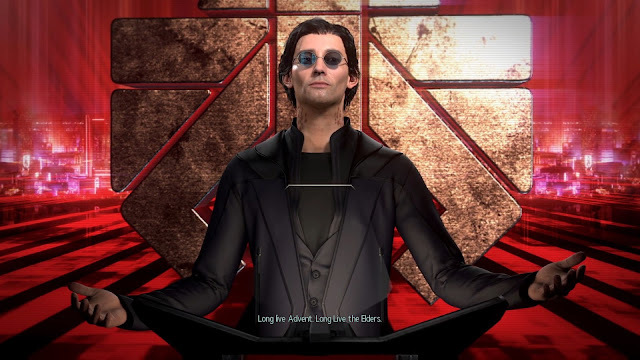 However, what it also brings are the usual flaws that infuriate players including bugs and RNGesus; XCOM 2 is also more difficult than its predecessor thanks to a combination of turning previous winning strategies on their heads and having time limits placed on just about everything that you do. Is the game worth $59.99 USD? : No. That's about $80 AUD for a game that's more than two years old (despite it being pretty good). The game has been on sale several times in the past couple of years so I'd definitely recommend getting it when it's next on sale but not at full price.